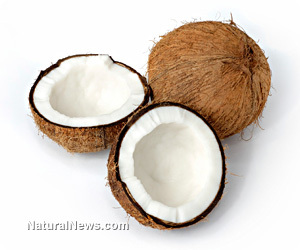 (NaturalNews) Pound for pound, coconut oil is one of the single most nutritious superfoods you can put in your body. It has a vast array of incredible health benefits and is something recommended to almost everyone I talk to on a regular basis. People are always asking me, Chris "What can I eat to be healthier"? The answer is simple: organic coconut oil. This stuff is simply amazing and is something everyone should include in their diet.